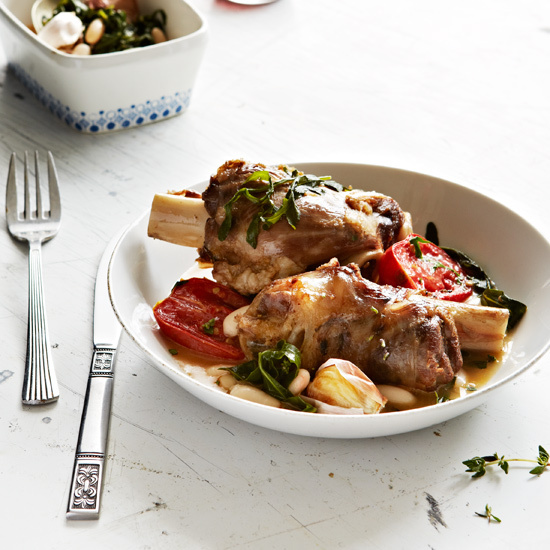 Whether you're craving a classic osso buco or something a little lighter (like a veggie-packed stew), tender lamb shanks are an easy way to make a beautiful supper. 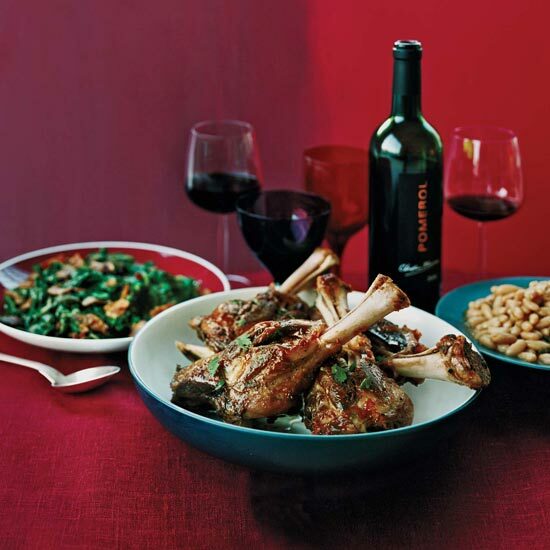 Be sure to ask the butcher to saw the lamb shanks in half for you. 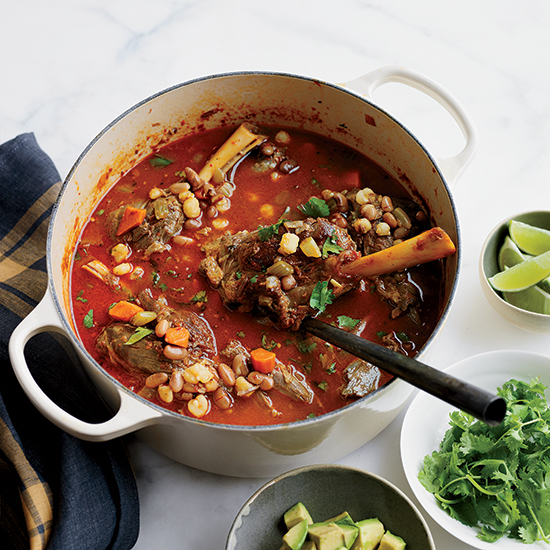 Chef Hugh Acheson creates a luxurious version of a classic Mexican stew. 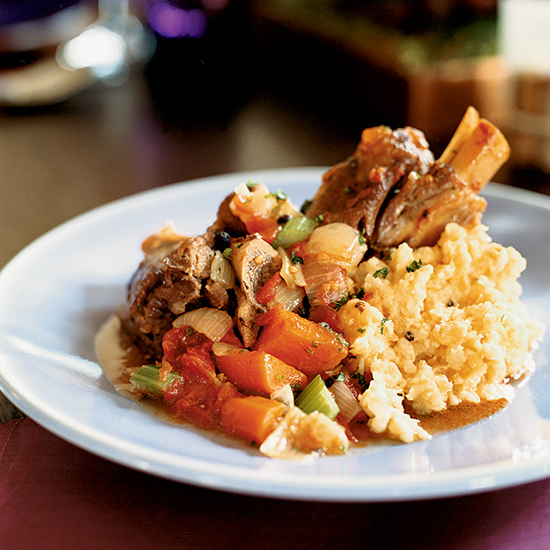 Rajat Parr braises his ultratender lamb shanks in a rich mix of red wine, tomatoes and cinnamon. 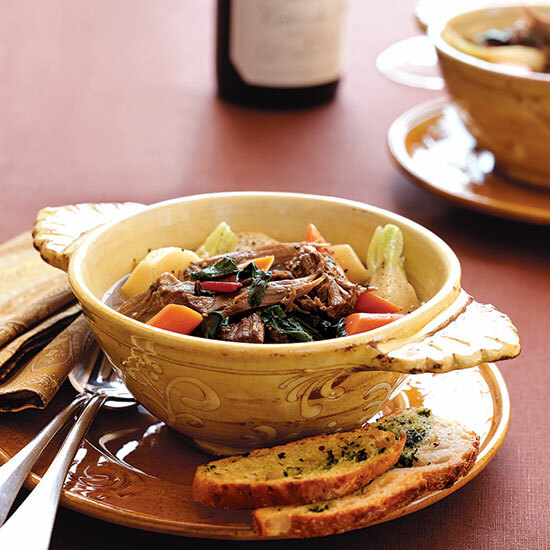 Joshua Wesson substitutes full-flavored lamb for the usual mild veal in his version of this classic Italian stew with tomatoes, onions and carrots. 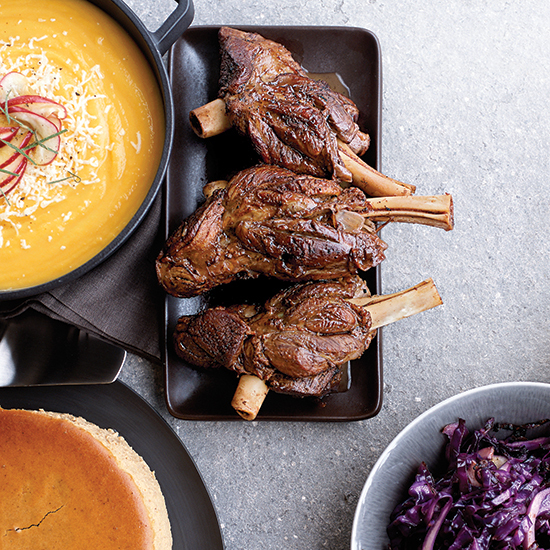 For a comforting wintry meal, F&W Test Kitchen Supervisor Marcia Kiesel adopts Simple French Food author Richard Olney's method of roasting lamb shanks at a low temperature with no added liquid. The spare ingredients yield an incredibly rich sauce that infuses the beans. The currant and berry notes in a right bank Bordeaux brighten this luxurious dish. 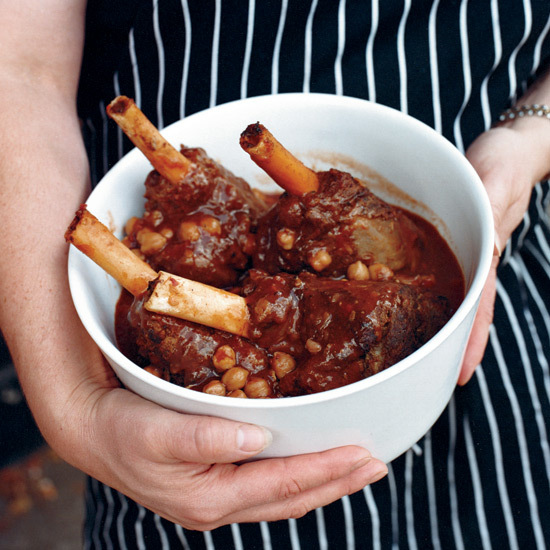 Butcher-shop owner Tanya Cauthen likes flavoring supremely tender braised lamb with a North African spice blend that includes cumin and fennel seeds. 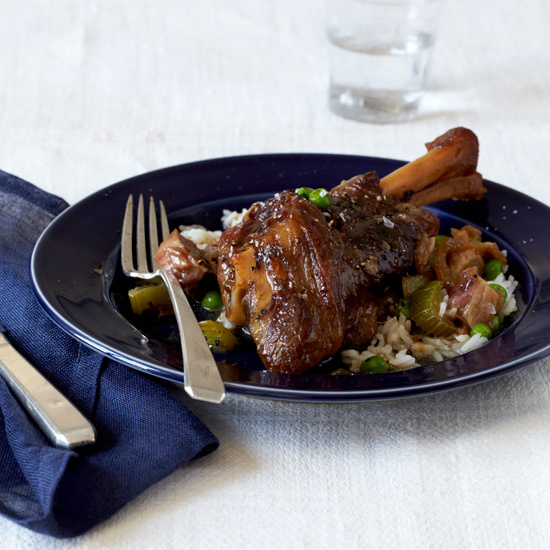 Lamb shanks are great for serving at dinner parties, since they look so dramatic, but lamb stew meat--cut from the shoulder or the leg--is equally delicious. Or, for a less gamey flavor, substitute beef short ribs. 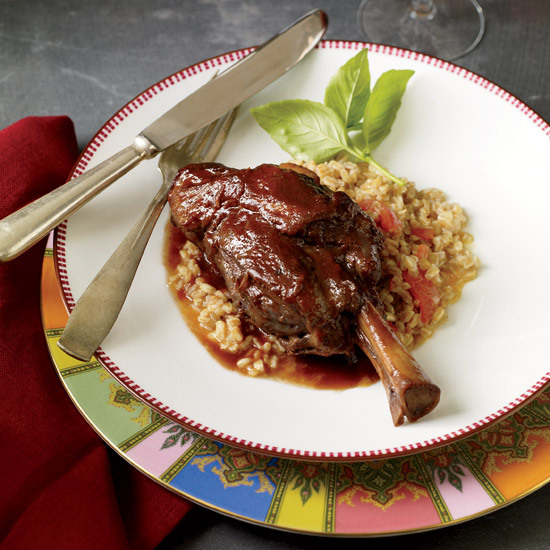 Michael Solomonov braises lamb shanks with sweet date molasses until the meat is tender, then adds tangy rhubarb to the sauce. The dish can also be prepared with tart fruits like quince or crabapples when rhubarb isn't in season. 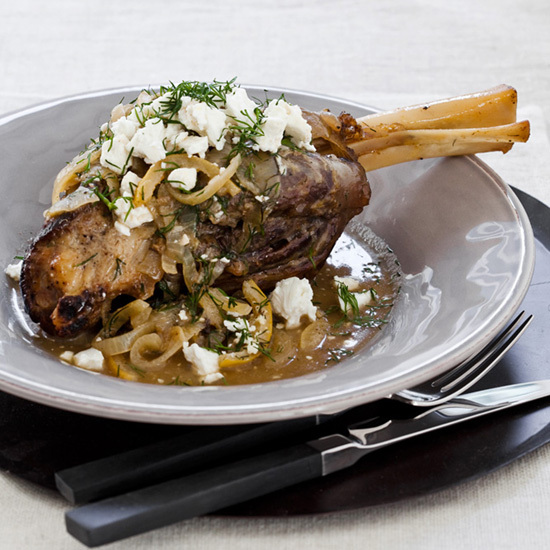 Tangy feta and fragrant dill give these tender lamb shanks a burst of Mediterranean flavor--straight from your slow-cooker. 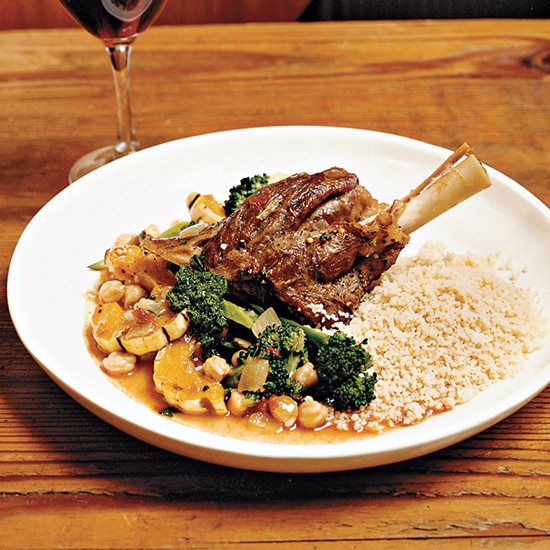 "If your dish is really straightforward, like braised meat and roasted vegetables, you have to start with truly amazing ingredients or you won't end up with anything special," says Family Supper chef Troy MacLarty, reflecting his training at ingredient-driven Chez Panisse in Berkeley, California. MacLarty says you can substitute any sweet winter squash for the sometimes hard-to-find delicata; if you're using a variety with a thicker skin, like butternut, be sure to peel it before roasting.